After years of providing high-quality care to families across Mahoning Valley, one thing has become clear: Akron Children’s Hospital is dedicated to the Valley. That’s why we’re proud to announce that on Oct. 7 we will officially break ground for an $18.6 million construction project to expand our Beeghly campus by more than 51,000 square feet. This project represents the first of a 4-phase project that will span the next several years. The expansion will be divided into 4 phases, the first of which is set to begin in October and end in April 2017. 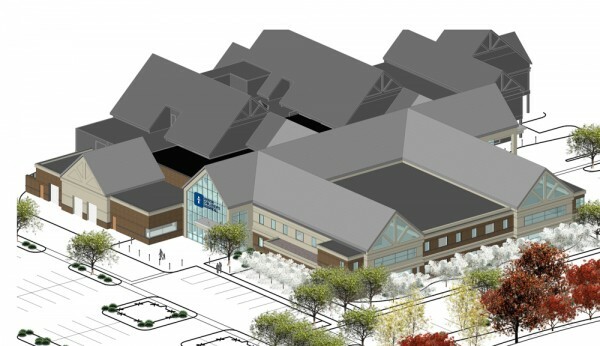 It will include construction of a new building and renovation of portions of the current “A” building, and will create a new entrance for the Beeghly campus that will improve how families access the services on the campus. Overall, it will add 49 exam rooms, including subspecialty and primary care. Staying true to the roots of the Mahoning Valley area, the interior of the expansion will feature design elements that show our commitment to the community. Local heritage will be incorporated into the design.